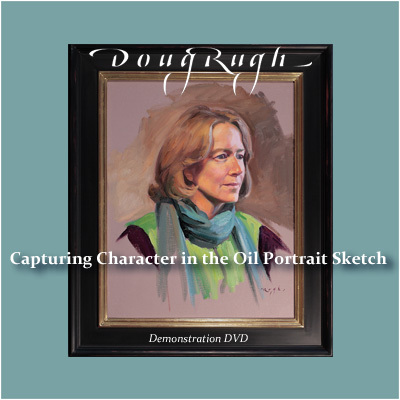 Doug Rugh, CM (pronounced rü) became a full-time artist using oil paint as a medium in 2000 but for over 30 years has been working in the visual arts. 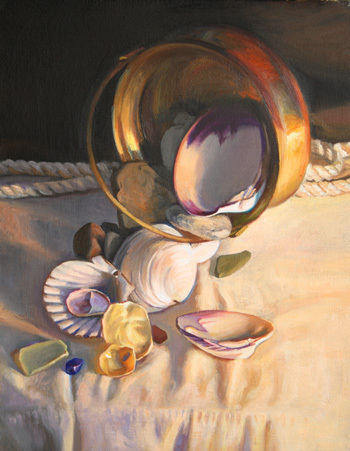 Rugh was awarded the distinction, "Copley Master" in 2006 by the Copley Society (America's oldest nonprofit art association) as a result of juried works and multiple major awards in each of the three areas of landscape, still-life and portraiture. Rugh attended the Maryland Institute College of Art before completing his BFA in 1994 at the Rhode Island School of Design with honors. For several years Rugh worked as a scientific illustrator at the Marine Biological Laboratory in Woods Hole, MA where both of his grandfathers did research. 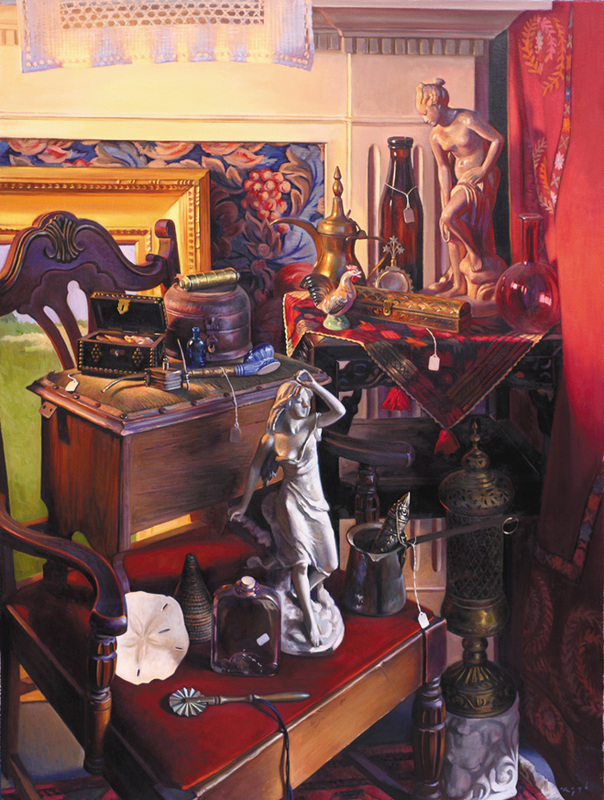 This love of direct observation and the technical study of optical effects is carried over into the practice of carefully observed still life painting. The artist has done much work with hand-mulling his own pigments into paints and experimenting with various mediums and techniques. This study began at the Schuler School of Fine Arts in Baltimore, an atelier based on the French academies of the 19th century, which specializes in materials and methods of the old masters. 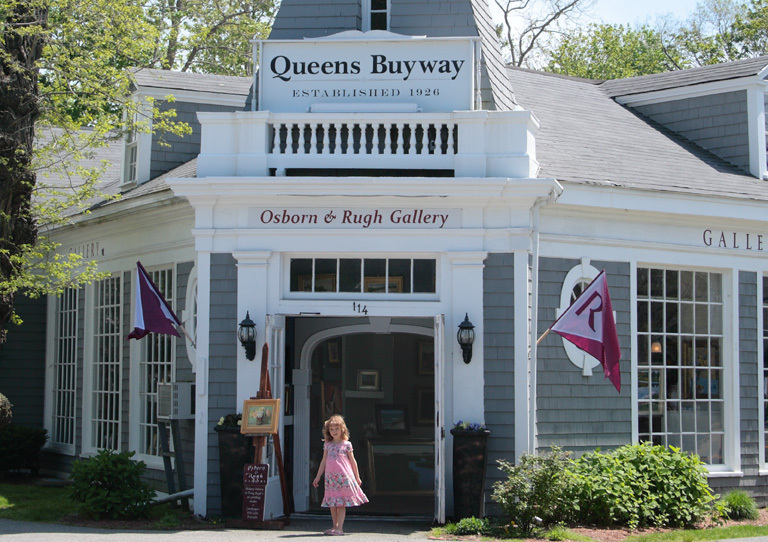 The artist is fortunate enough to live in a beautifuI environment and in the warmer half of the year when Rugh is not at the easel in the studio/gallery, he can be found out on location painting from the beauty of Cape Cod. Often these field studies are expanded into larger paintings in the studio. To develop his portrait skills the artist worked regularly from live models in-between portrait commissions and the artist estimates that he has had about 2000 sittings (and counting) with live models. Covert Ops Rugh's "covert" paintings are done with a small paint box disquised as a laptop using a quick "alla prima" method and relying on years of training to do small likenesses from quickly moving targets. The artist says, "I especially enjoy painting people this way. It is very artistic and it's what we as artists should strive for: to paint real people in interesting light, in candid poses and natural settings. 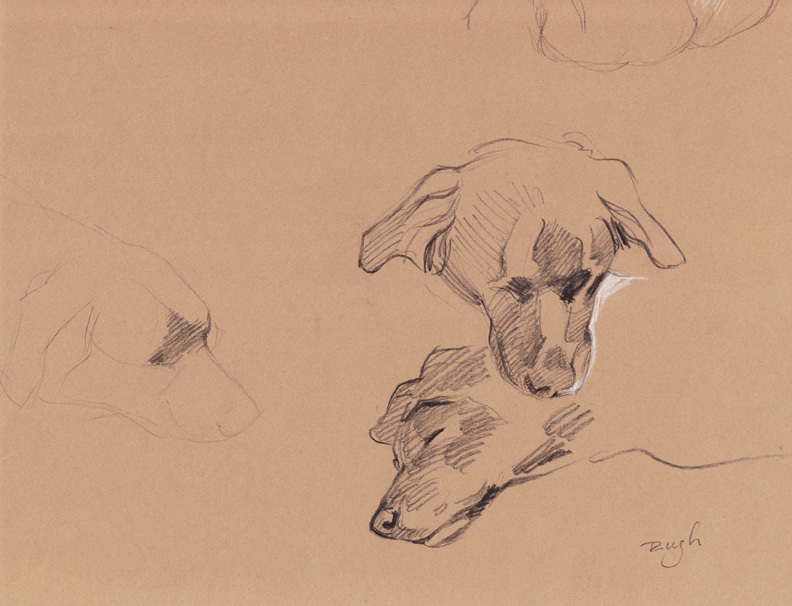 These studies add depth to our studio paintings and commissions. The artist helps us to see the beauty that is all around us." In the same vein, Rugh has been studying interiors at Highfield Hall. These oils will be exhibited at the historic mansion in Fall 2014. Rugh has two ebooks available through Amazon and Barnes and Noble. 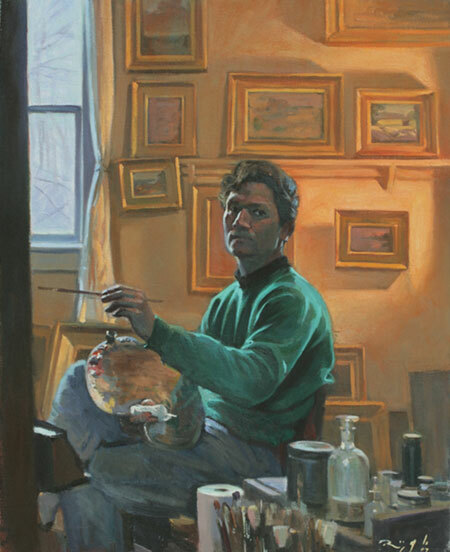 The Artist's Conundrum is his oil painter's journal and includes many paintings along with observations and anecdotes from an artist's life at work and play. Eddie in My Pocket is a picture book that is unusual in that it is image based - the story was borne from the oil paintings. Earlier in his career Rugh worked as a freelance illustrator creating original works of art for such clients as: Barnes and Noble, Microsoft, Prudential, The New York Times, Reader’s Digest, Newsweek and The Washington Post. Commissioned work appeared regularly in print, on book and magazine covers as well as in numerous publications. Eddie in My Pocket was a chance for the art to drive the content. For the last 13 years Rugh has partnered with his wife, the artist Hillary Osborn, with whom he has shared a special art relationship. 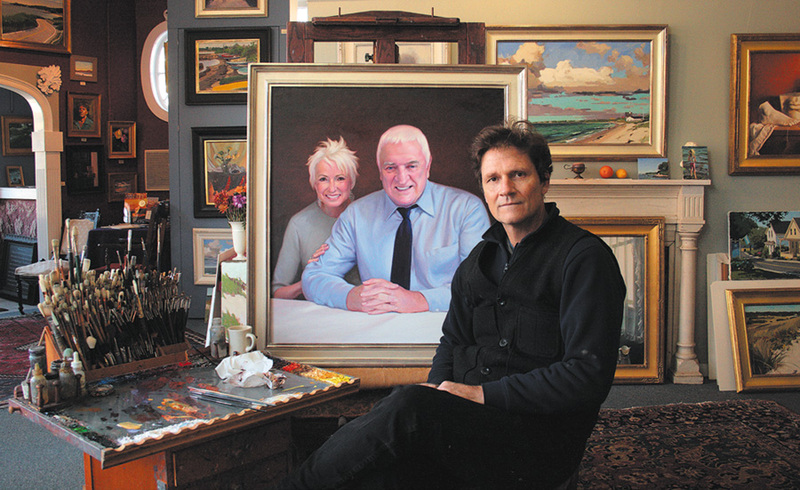 The artists take turns manning a studio and gallery: the Osborn and Rugh Gallery. They share an aesthetic philosophy that places major importance on direct observation from Nature as a starting point for artistic decisions made from the artist's imagination. The couple feel that landscape painters need to spend their time in the field working/studying from an ever-changing environment rather than inside copying fixed 2-dimensional snapshots. 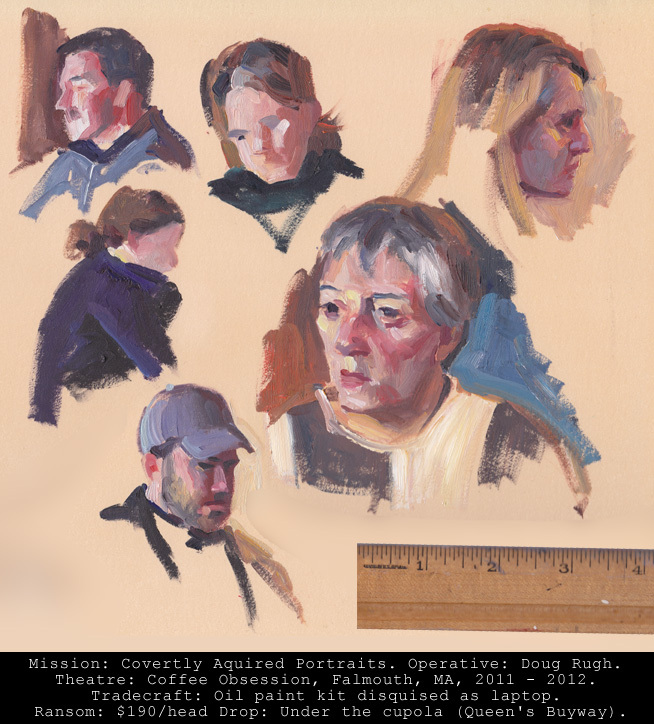 That portrait artists need to work from living people and though nowadays subjects rarely have time to sit at length an artist's training must be from direct observation. 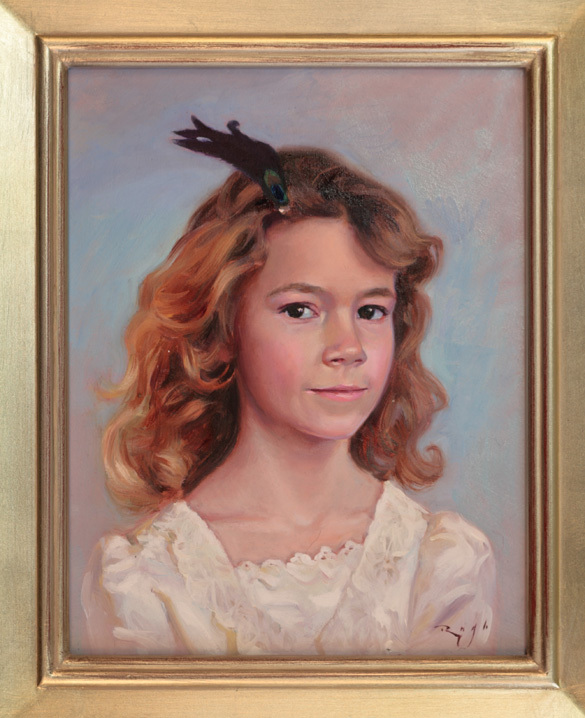 Rugh does uses photographic reference materials for portrait commissions but draws from hours of working directly from life. Paintings range in price by size from $500 to $29,000. Or visit by chance or appointment. Located at the historic shopping area of Queen's Buyway near the Village Green in Falmouth, MA (on the corner next to Coffee Obsession). “We’ve devoted our careers to creating original works of art because we are continually amazed with what can happen at the easel..."
Osborn and Rugh believe that it is important for artists to study directly from life and on location to understand visual nuances of ever changing light and develop a keen eye and have spent many years painting on location and from live models and studying the craft and aesthetics of oil painting. Wait until your spouse has wronged you. Utilize the silent treatment for a few days and when he/she is sufficiently receptive, and without making eye contact, declare, “I want a painting.” Just let it hang in the air until he/she says, “Which painting?” Turn and gently place your hand on their arm and then give them specifics. Or don’t beat around the bush: Wait until your spouse has caused some undue trouble, tear up these feeble recommendations and use the credit card freely. You deserve it!